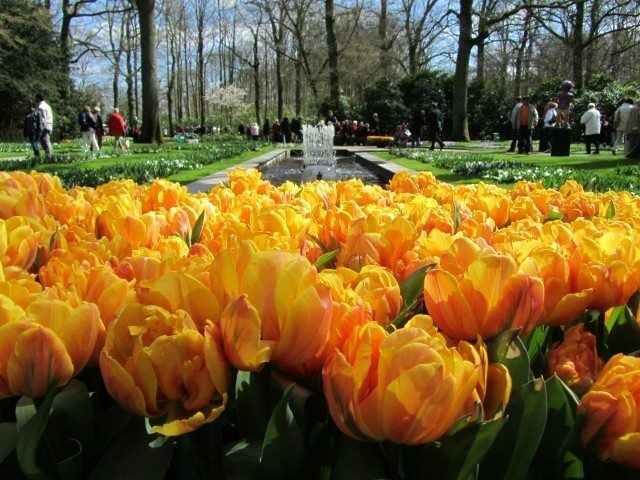 A whole day was spent out at the world’s second largest flower garden, Keukenhof in Lisse. 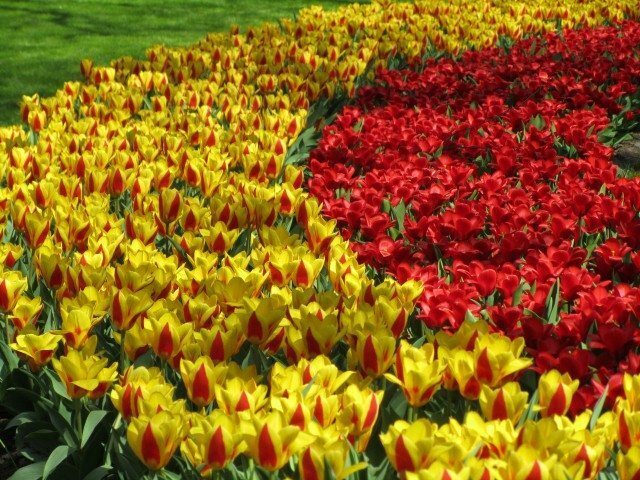 Even though the tulip fields were not awash with so much colour as the tulips were late blooming, there was still plenty to see at this Garden of Europe. 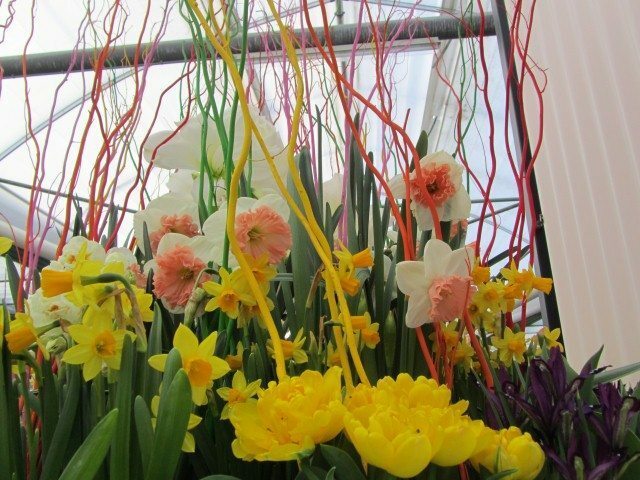 Gorgeous displays and many varieties of tulips and other flowers painted the conservatories. 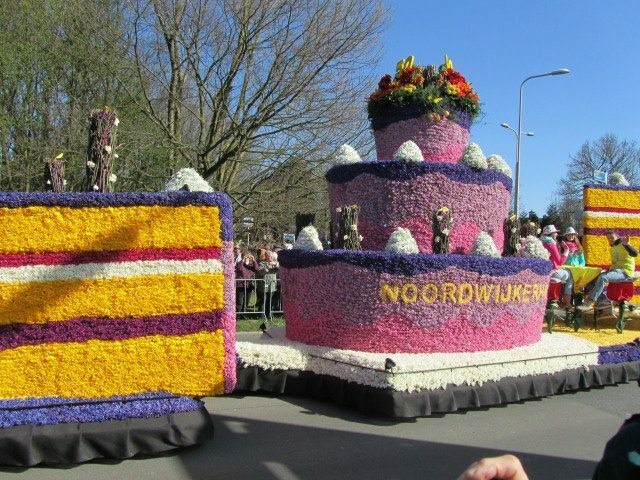 Our luck was in as we also got to watch the annual flower parade pass by Keukenhof as it travelled its 40km route from Noordwijk to Haarlem. Float after float of scenes made from fresh flowers together with a marching band brought the streets to life. 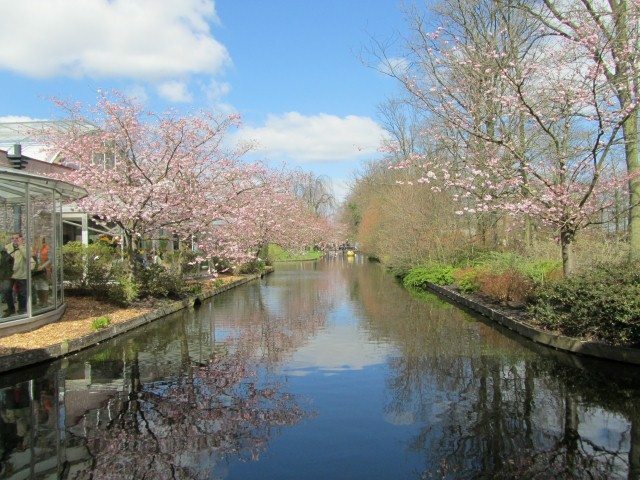 After such a beautiful day out, on our return to Amsterdam, we still decided to go to our planned restaurant Moeders. As it was a fair walk from central Amsterdam, we had to have some of the most delicious chips from Manneken Pis to munch on while we walked. Any excuse to have tasty chips from this award winning fries institution. 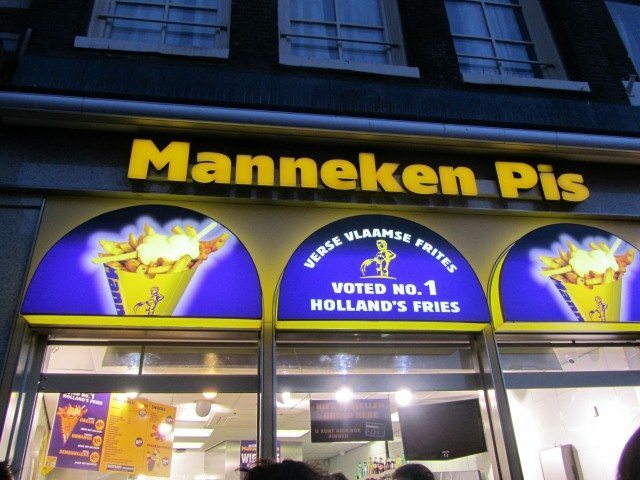 Manneken Pis do chips with various sauces but nothing beats the classic ketchup and mayonnaise. 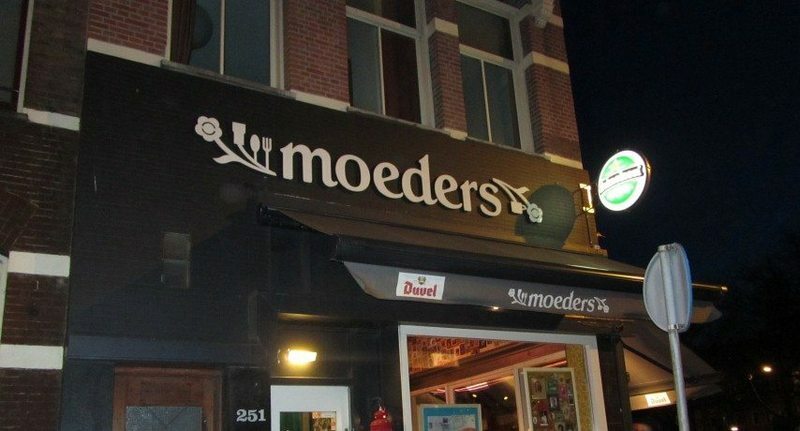 Moeders means mothers and this restaurant is dedicated to mums everywhere. 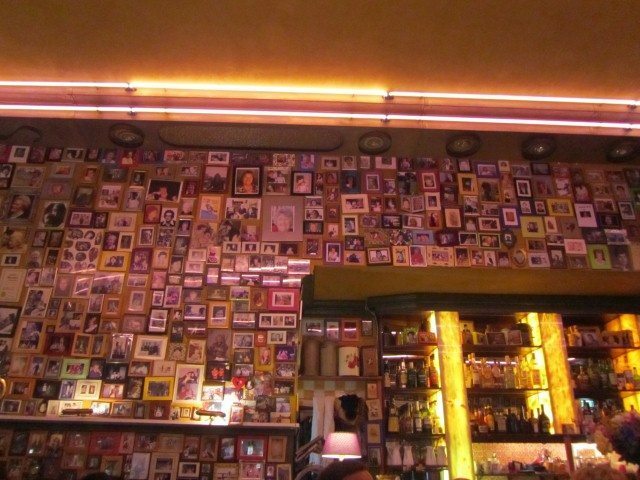 There are endless pictures of mums covering all the walls and even the windowsills have framed pictures of diner’s mums. Even though my mum couldn’t be there that evening, an equally special time was had dining here with my dad. 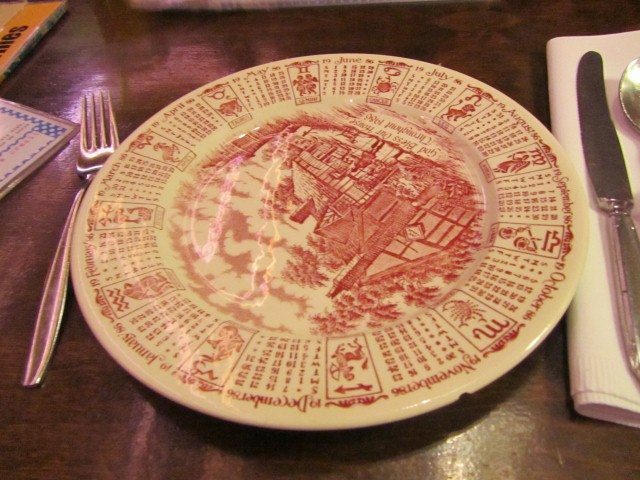 There is something quite quirky and homely about Moeders from the mismatched plates and glasses to the decor. The staff were really friendly and gave us food suggestions. They even made a couple of dishes specially for us. The atmosphere was relaxed and it was all about the comfort food this evening. Two soups and two hotchpotch dishes were ordered. The soup of the day was mustard and leek. 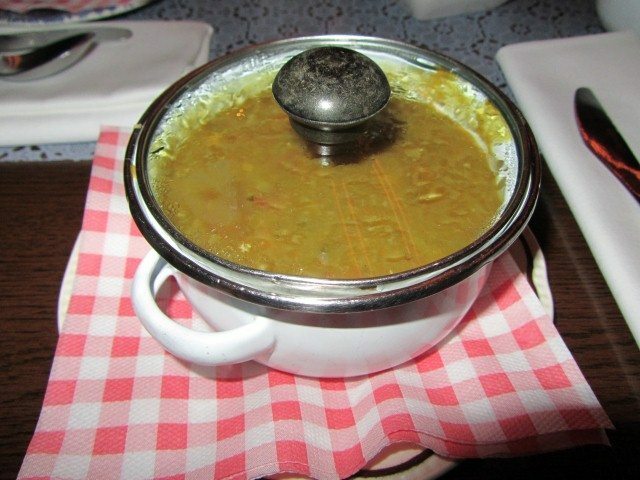 The other soup had to be the traditional Dutch green pea soup. This soup was made more filling as it had bacon and sausage. It even gave the name of the butcher (Loumen) who had made the meats. Both of the soups came in little casserole like dishes with lids and were equally as tasty. 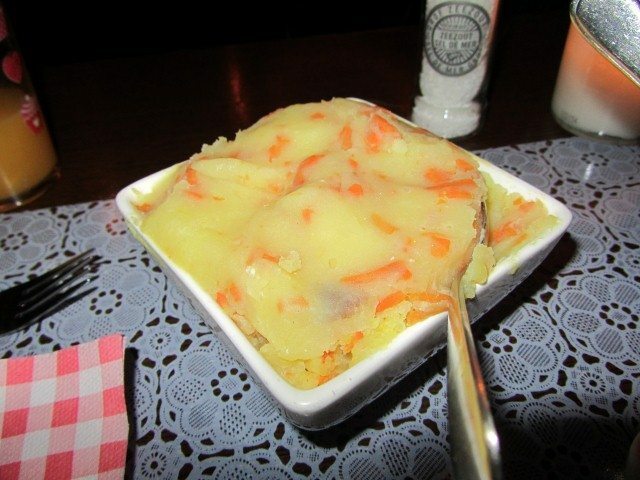 Hotchpotch is a Dutch dish made of mashed potato, vegetables and meat. As we opted for the vegetarian version, the staff made us one with carrot and onion and the other with endive. 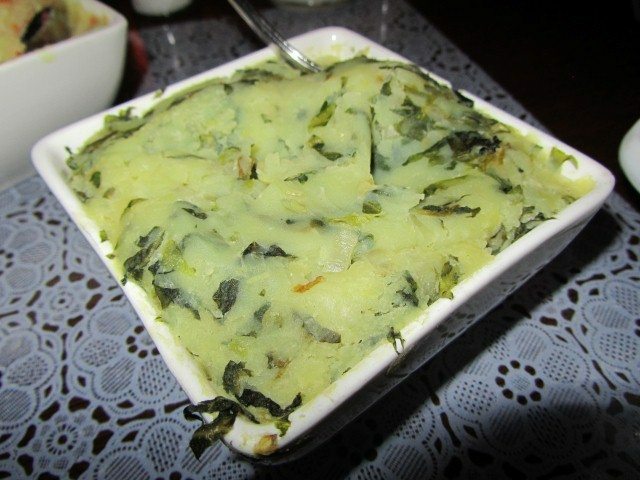 The portions were fairly big of the creamy potato combined with the vegetables even though they were side dishes. The endive one was slightly bitter. Soup and mashed potato made for a filling meal but there was room for dessert. Moeders does a dessert trio called the Dutch Delight. 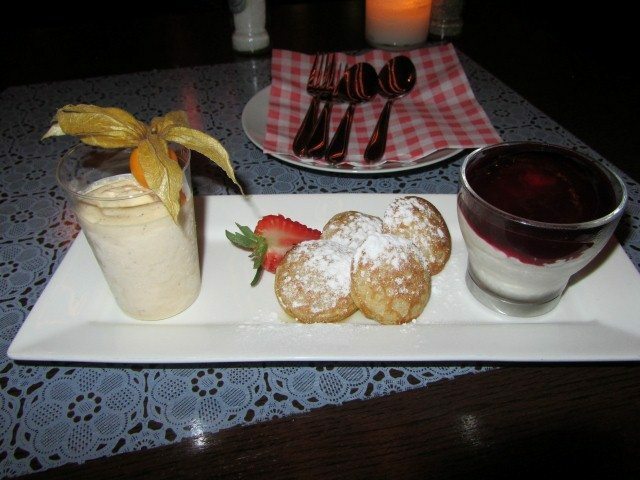 These are a mini curd, small pancakes and “speculaas” ice cream. The mini curd was like a yogurt topped with fruit compote. Fluffy pancakes went perfectly with the spiced biscuit ice cream. 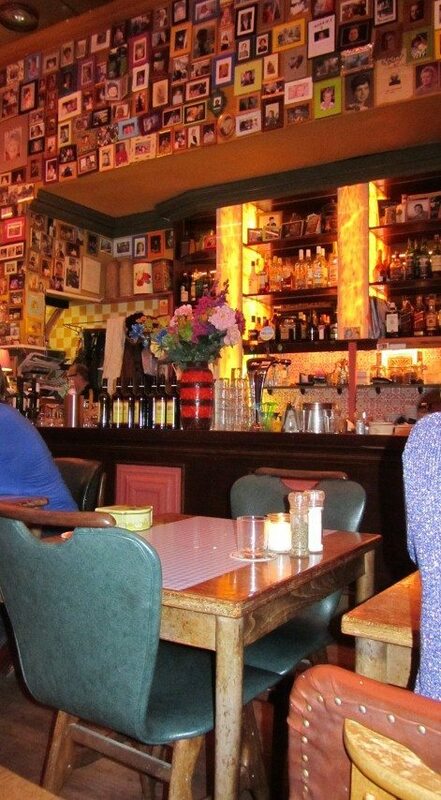 Moeders is a wonderful restaurant to go to with delicious home cooked traditional Dutch food. It has a real charm about the place. 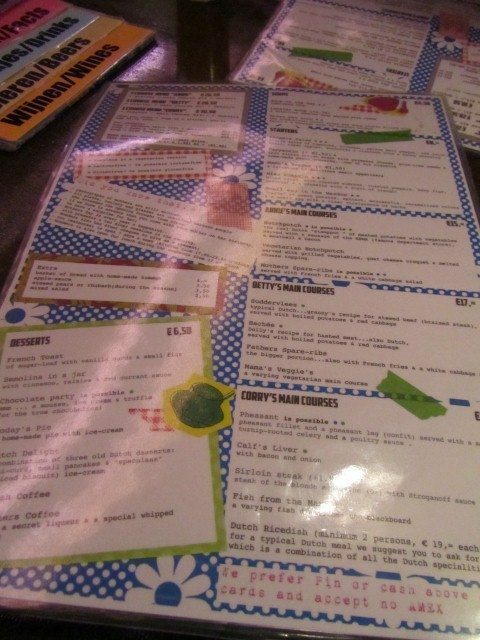 A few facts about the restaurant are written on the menu.